The words ‘camping’ and ‘luxury’ don’t often go hand in hand, unless you are glamping. With glamping, the traditional negatives of camping are gone; there’s no blow-up mattress, no struggling to light a fire, and certainly no make-shift toilets. Instead, there are luxury king size beds, gourmet food and one of a kind experiences in some of the world’s best locations. 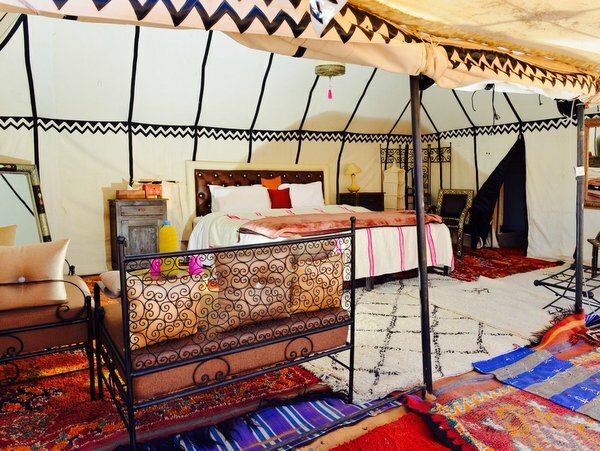 Here are five hot glamping destinations around the world. Enjoy the deep Indigenous history, culture and spirituality and uninterrupted outback with a glamping experience like no other at Longitude 131° in Uluru. 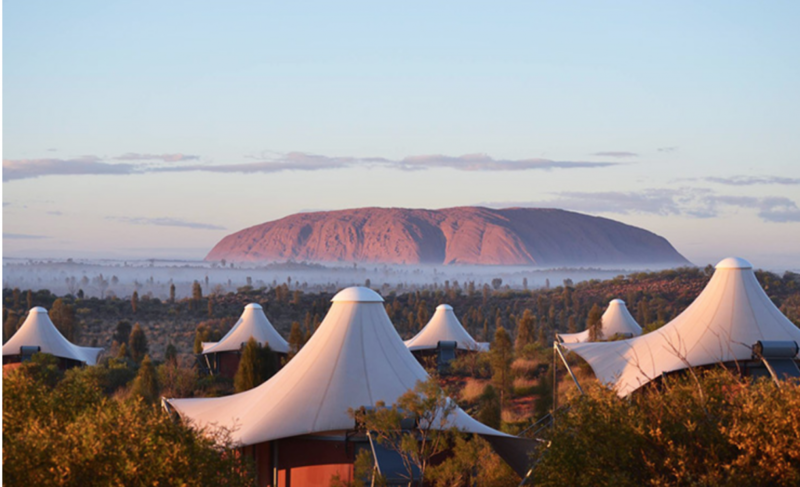 Amongst the sand dunes of Australia’s Red centre are 16 luxurious tented pavilions in two designs; the Luxury Tents, which sleeps two to three people, and the Dune Pavilion, which sleeps up to four people. 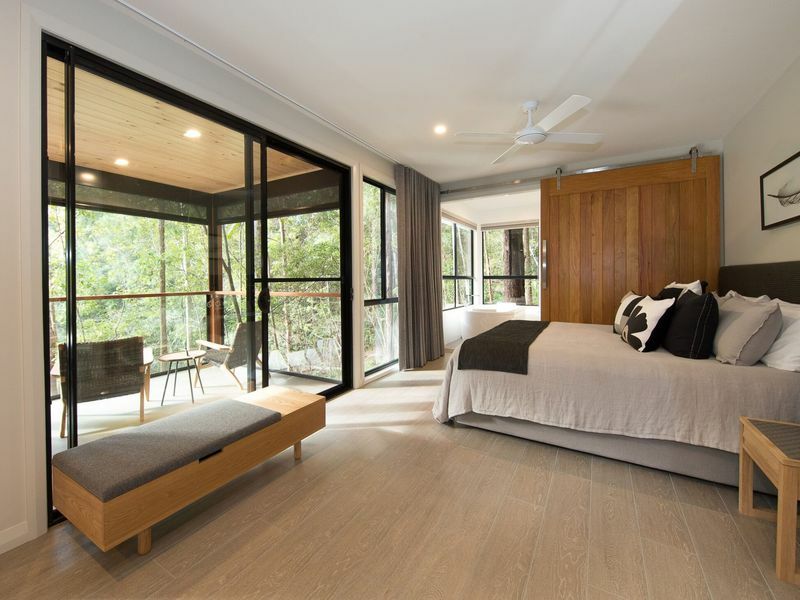 Owned by luxury lodging company Baillie Lodges, who also have other luxurious lodgings on Lord Howe Island and Kangaroo Island, Longitude 131° was opened in 2017 after a significant redesign by acclaimed architects Max Pritchard Gunner. It is the only accommodation in Australia’s Red Centre to offer views of heritage listed-icons Uluru and Kata Tjuta. 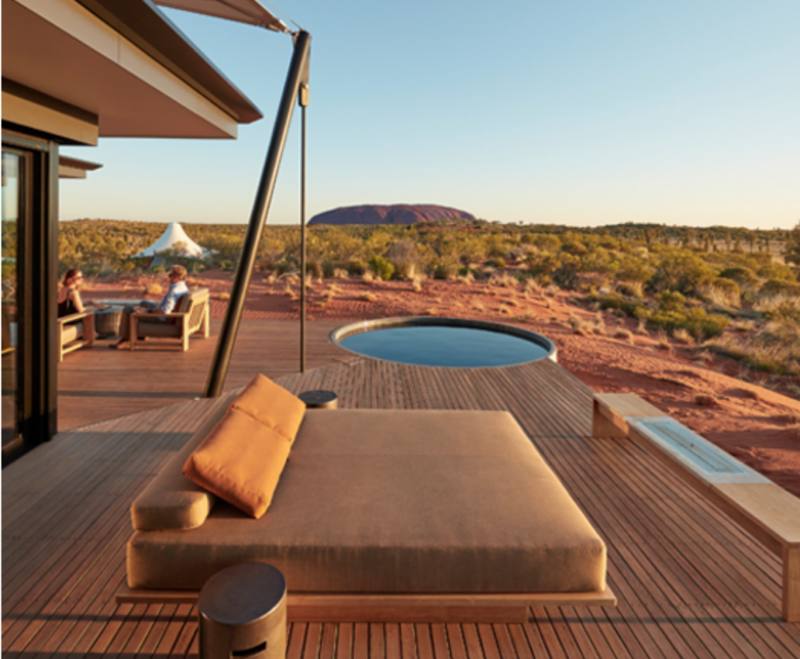 The luxury tents each feature a king size bed, ensuites, an outdoor deck area and floor-to-ceiling windows that offer unprecedented views of the outback. Each is designed with luxurious furnishings by local Australian designers Pierre + Charlotte and Ross Gardam, with a contemporary style that pays homage to early Australian explorers. Indigenous artwork from local art centres such as Ernabella and Maruku, close to Uluru, are a feature throughout, and guests have the opportunity to purchase pieces as a unique souvenir. 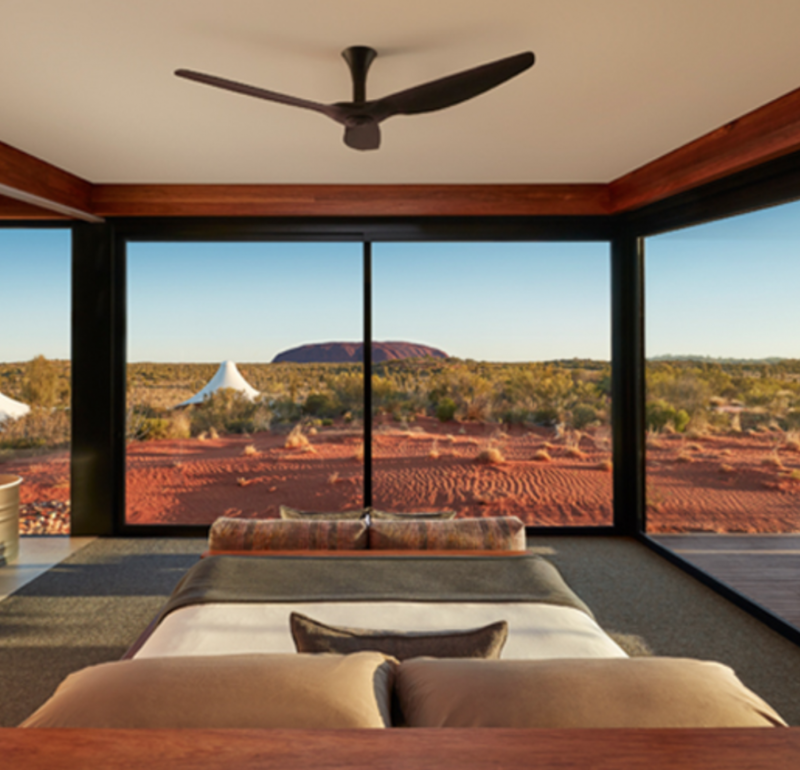 The “Dune Pavilion,” is Longitude 131°’s most luxurious offering, featuring a two-bedroom pavilion with views of Uluru literally at the end of the bed. Separate living spaces, a personal bar and a private plunge pool on an outdoor deck that brings the ultimate desert glamour. Gourmet food is provided by executive chef Mark Goodbear, who provides a dining experience that matches the location. 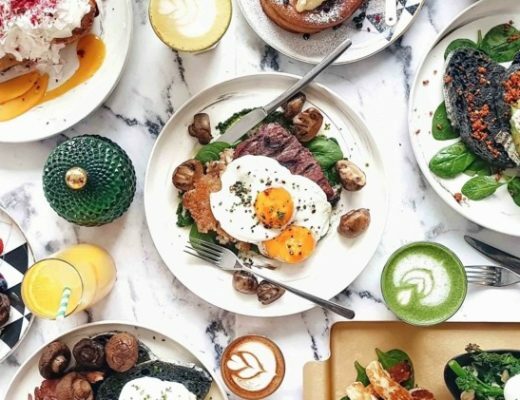 Menus are aligned with the indigenous seasons and use native ingredients such as lemon myrtle, desert lime and quandong. 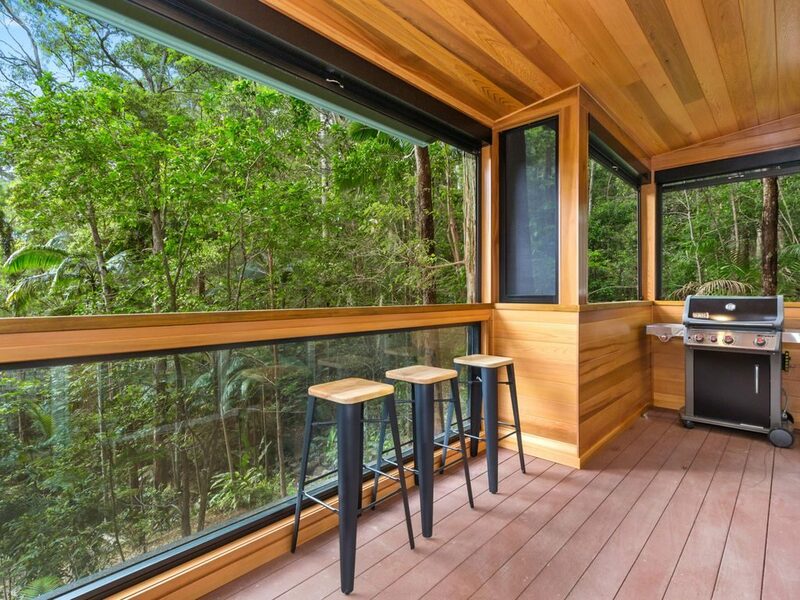 A half-hour drive from Coolangatta Airport, Mistere offers a relaxing luxury escape in the middle of the Australian tropical rainforest. While not necessarily a glamping getaway, Mistere Spa and Retreat is an eco-lodge of luxury private villas that is situated on a 50-hectare property. The only sounds of bird calls and trickling fountains create an aura of stillness, while exploring the rainforest walking trails offers access to Australian flora and fauna such as koalas, kookaburras and exotic birds that truly allows one to consider their place in the world. Stay in the Fountain View Villa and relax and unwind with an indulgent rainfall shower, double chronotherapy spa bath and floor-to-ceiling windows that make one feel like they are sleeping in the forest. Al fresco dining is on offer with fully-equipped kitchens and sliding doors that open out onto a deck. The Mountain View Villa also includes a four person spa bath and an infrared sauna for the ultimate private relaxation. With only three villas in total, privacy and quietness is a key concern at Mistere. 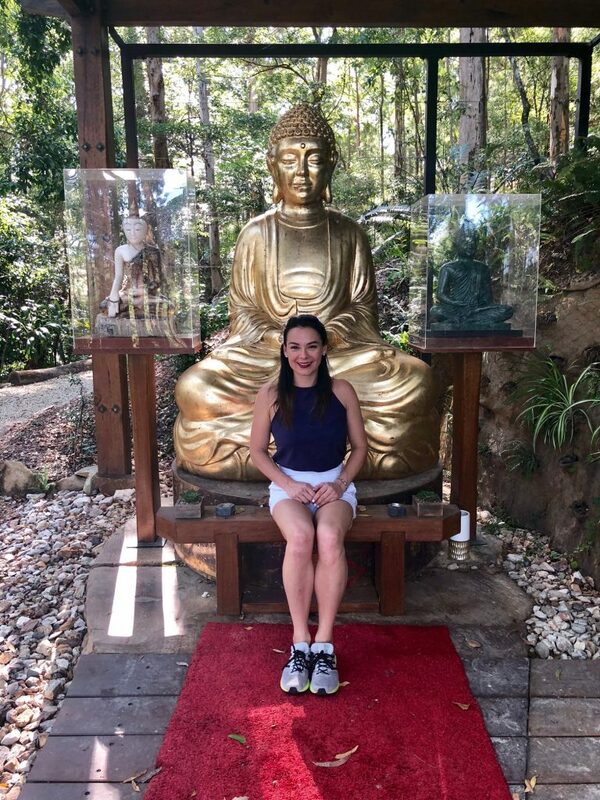 Similarly ensuring complete serenity as you explore the grounds, which includes a Zen Garden with a Buddha statue. Baskets of food for breakfast and lunch can be ordered. Afterwards, dinner options can be cooked on the barbecues, a self-sufficient means of unwinding. Explore the nearby town of Murwillumbah, only a short eight minute drive away. Organic markets with fresh produce such as homemade almond milk, biscuits and breakfast options are some of the delicacies. Crops of organic sugar cane are also nearby to explore and immerse one self in nature. Situated just outside of Venice, Italy on the grounds of a winery, Glamping Canonici is Italy’s first, and most luxurious, answer to the glamping trend. 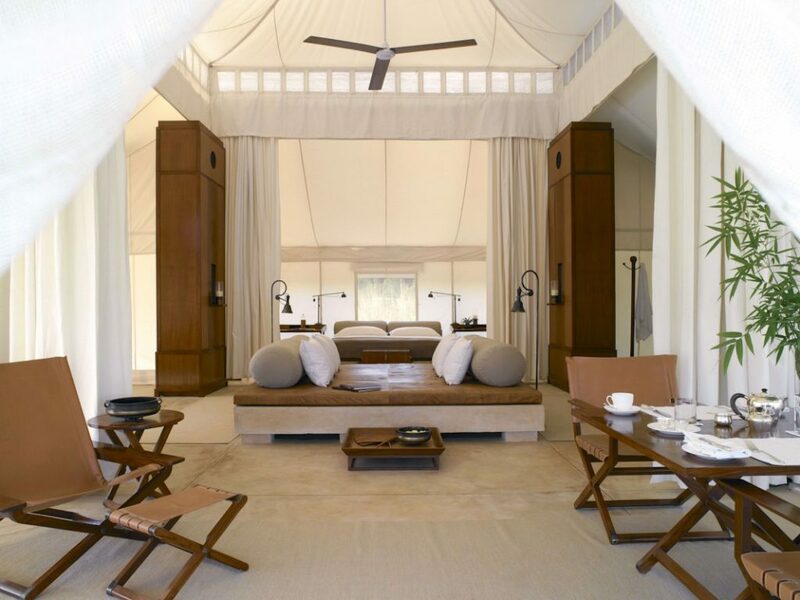 The four large ‘tent suites’ each boast four-poster beds, an ensuite, a la carte room service and air conditioning. Bespoke furnishings and designs channel a mix of rustic and old-school Italian glamour. As a result, each tent is unique. 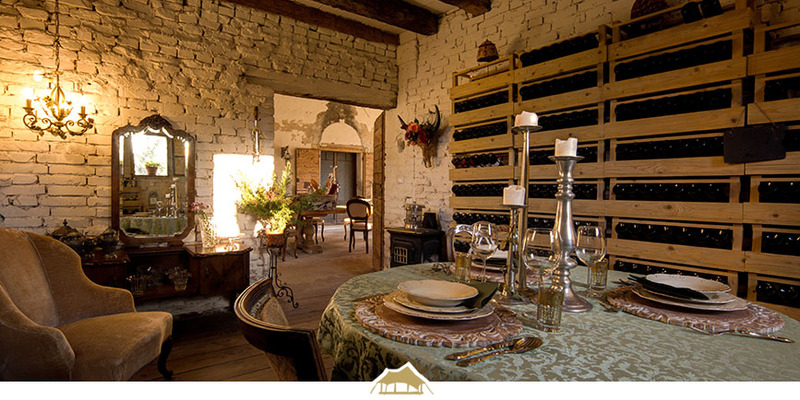 Classic, yet gourmet, Italian food is served in a seventeen-century barn. 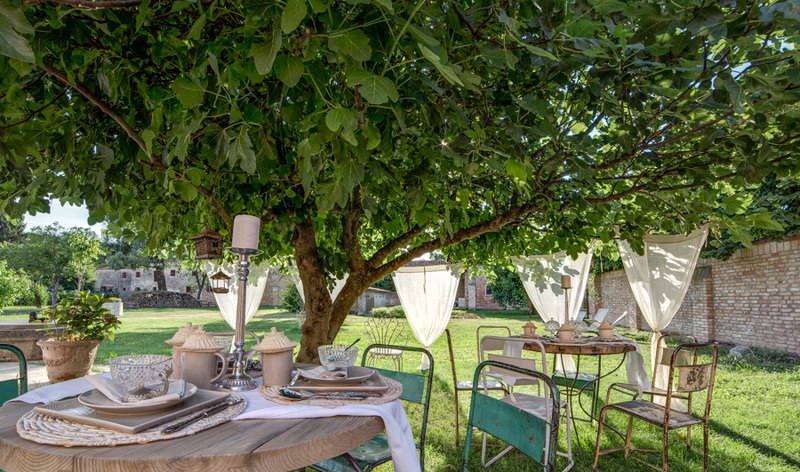 Likewise indulge in al fresco dining in the elegant Court of Villa Veneta garden, where fig and olive trees add to the atmospheric nature of the Venetian countryside. Lap up the Venetian country side and live the Italian dream of food, wine and sun through the winery and cellar tours available daily. During, complimentary picnics full of local produce also available. 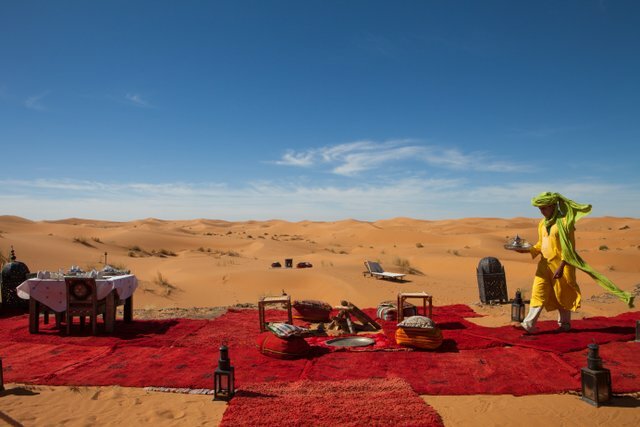 Desert Luxury Camp in the Erg Chebbi desert in Morocco offers an experience like no other. Away from the crowds of tourists and bustling cities sits a handful of white tents, nestled in the orange sand dunes. Arriving by camel or sand buggies to the site, each luxurious tent features full size beds, ensuites with hot and cold running water. Traditional, handmade Moroccan furnishings and décor are a treat. 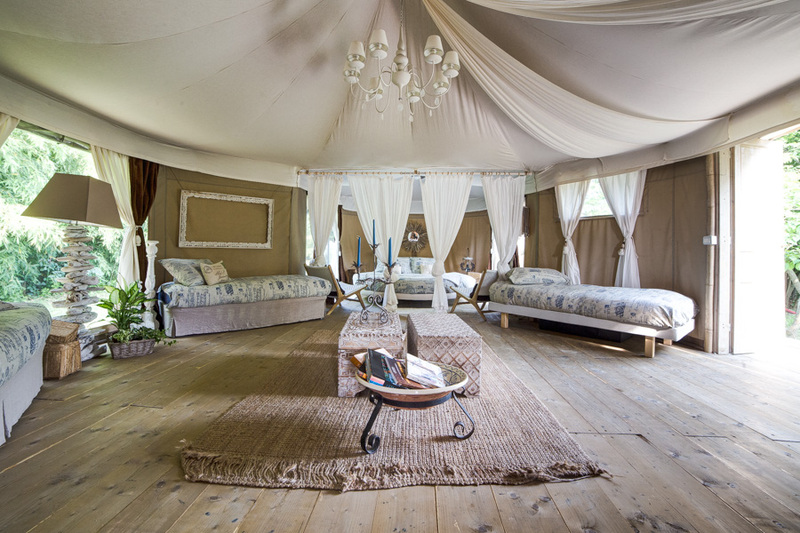 10 king size tents are located in the main camp, while three king-size tents are located in the private camp. Hence, this is sold exclusively to guests – meaning no other travellers will be in the same vicinity. 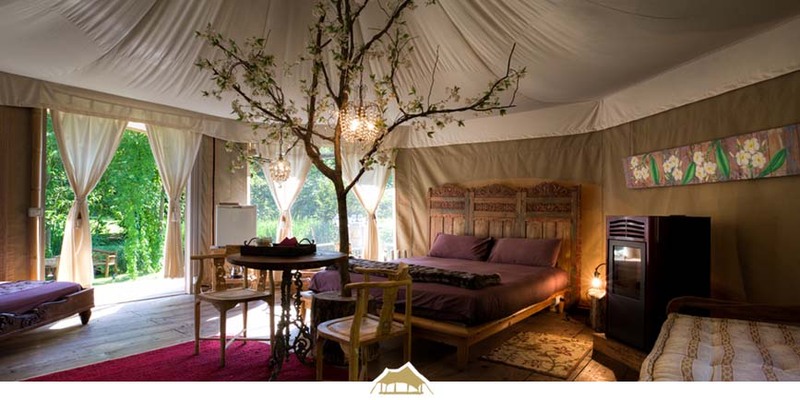 Two Royal Camps are also available that reach the top of luxury camping. 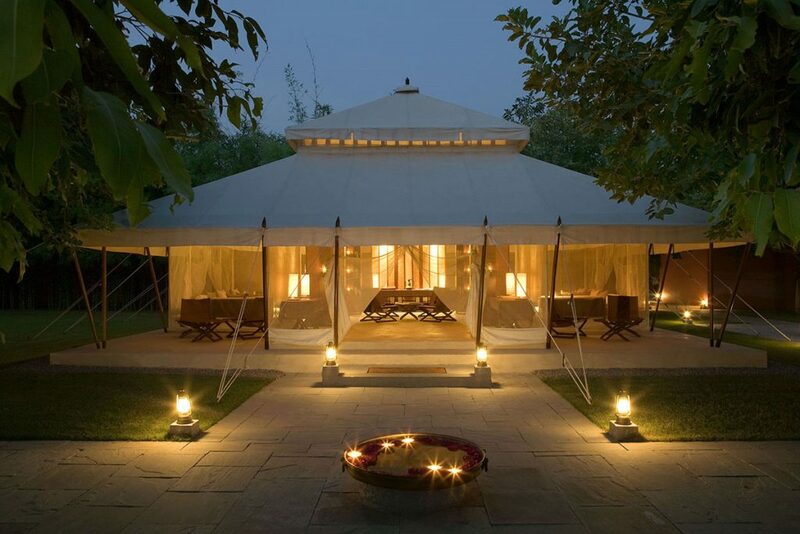 Perched on the top of the sand dunes, these massive 13×9 metre tents offer privacy and exuberant spaces. They also feature separate ensuites with both baths and showers. Two tented restaurants are on site offering three course gourmet Moroccan meals. Activities on offer include camel trekking, sand-boarding and visits to local villages. 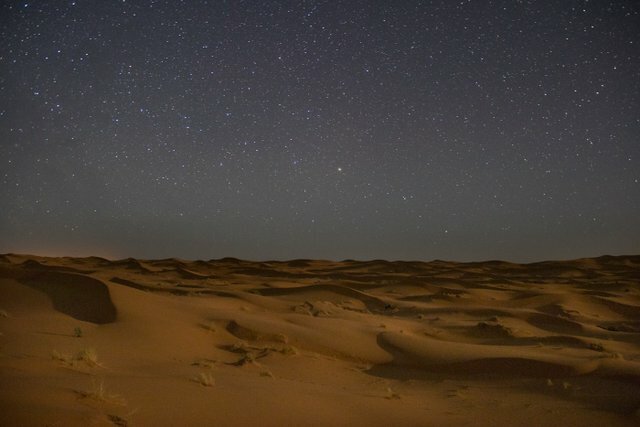 While weather in the Sahara Dessert can often be unpredictable with harsh winds and sand storms, all of the tents are built to sustain heavy winds. 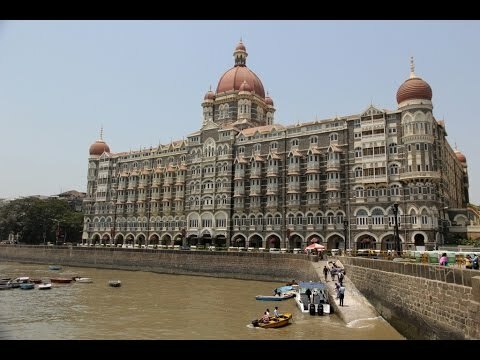 However in extreme emergency circumstances, hotel accommodation will be substituted. The Desert Luxury Camp is open year-round. However, recommended times to visit are from March to May and September to November. In the summer months (end of June to August), only five tents are open. 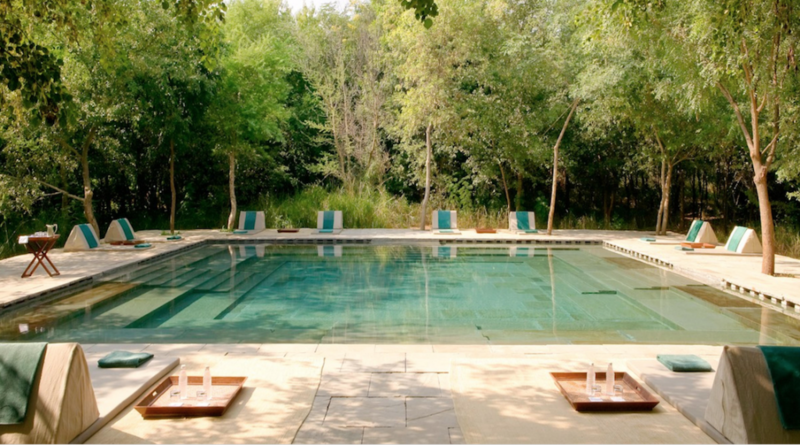 Located in dense forest on the edge of the Ranthambore National Park in northern India, Aman-i-Khás offers a glamping safari experience. Ten, six-metre tents are raised above the ground to separate from the wilderness beneath. All feature king size beds, spacious living rooms shrouded in cotton drapes and free standing baths in the ensuites. Head to the spa for a Reiki wellness treatment and an outdoor yoga session. Afterwards, be adventurous and join the twice-daily tiger safaris. Food is presented by executive chefs who are specialists in local Rajasthani or Kerala Indian cuisines, using vegetables and herbs from the camps organic gardens. Arrange to have a private-bush dinner in a secluded spot in the wilderness, complete with a personal chef and local musicians.